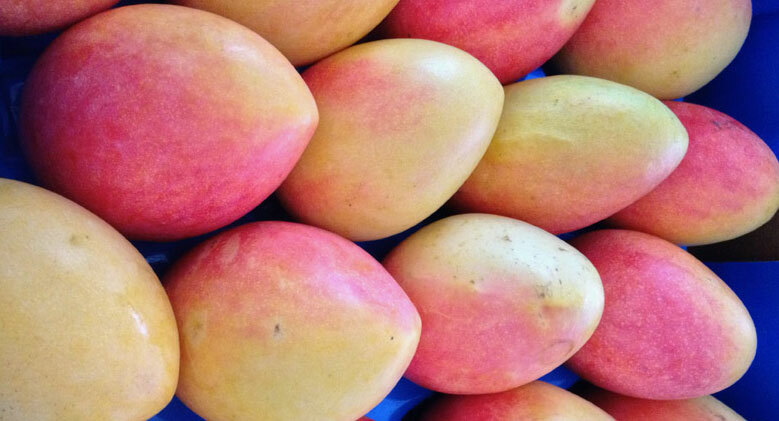 I couldn’t resist a tray of ripe and rosy mangos for $15 and as I’ve been promising to either use the icecream maker again or make some space in the cupboard I thought I’d try making a creamy mango ice-cream with a couple of them. I scanned the web and took bits of several different recipes and hoped for the best, I wanted a recipe that used all primary ingredients, no preservatives, artificial flavours or thickeners. I also wanted to make it with no egg because I wanted a lighter refreshing finish. 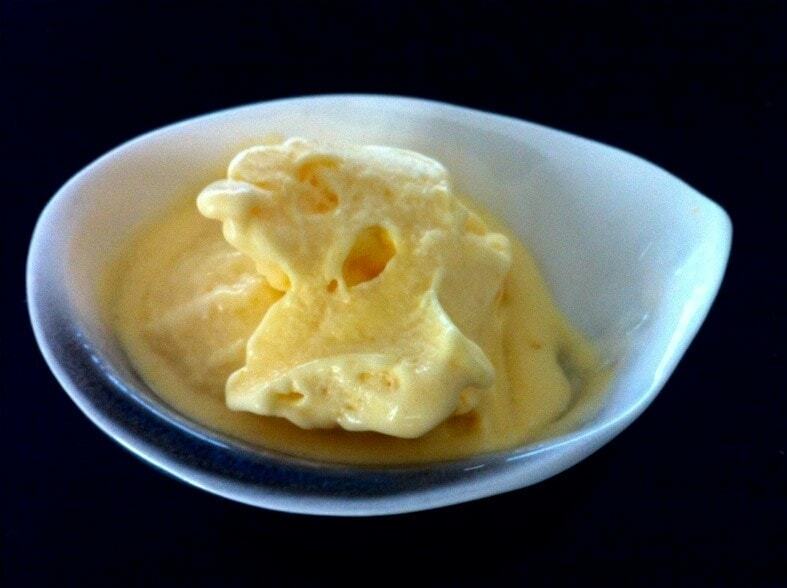 This ice-cream turned out super soft and creamy with an excellent mango flavour. I think the ice-cream maker will survive another season of de-cluttering. Using the equal blends of milk, cream and juice gives the ice-cream a rich and decadent mouth-feel without making it too heavy. I used two good sized mangos because I had plenty and I wanted a really refreshing tropical flavour and using raw caster sugar is just a personal preference, I like the slightly caramalised flavour it brings to my baking but standard caster sugar would work equally well. This is much easier and faster than an egg custard based ice-cream. Put all the ingredients except the cream in the blender or kitchen wizz and pulse until smooth and combined. Assemble your ice-cream make. Mine is the type where you freeze the bowl first, to avoid sticking it’s best to put the unit together first and start it running, then slowly pour in the liquid mixture through the hold in the top. Run the machine for around 25-30 minutes and you should have a soft serve consistency. Place the ice-cream into the freezer in a sealed container for a more traditional ice-cream texture and consistency. Looks scrumptious, I just bought a tray yesterday. They are making my kitchen smell divine. Bookmarked! Oh I love that smell Seana, not that they tend to last long in my house!